Mobile Team Challenge is one of the country’s leading authorities in experiential learning, and has a proven track record in the delivery learning development. Applying Emotional Intelligence in your Team and Organisation: STAND out from the CROWD! Customer Service Excellence Sessions: “What IF … Disney ran YOUR Organisation?” – The Customer Experience based on Disney’s Award Winning Service Principles + FISH! 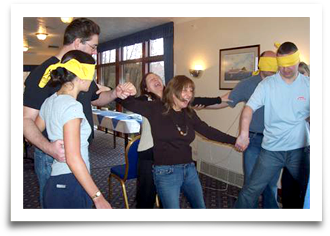 All of the above workshops are 1 or 2 day workshops and are delivered on-site or at one of our regular Open Course utilising MTC’s Award Winning Experiential and accelerated learning concepts. Contact us now to find out when these courses are running.